It is fairly easy for people to be drawn to those who suffer for a good cause. Consider Mother Theresa as an example – she suffered in many ways through self-denial and was perhaps one of the most admired women of the 20th century. I have never in my life heard anyone say anything negative about Mother Theresa and her single-minded devotion to serving humanity. But how would we have felt about her if she was also rejected by virtually everyone except for a small band of 12 followers (who ran and hid when she died)? Persecution is all about rejection. And Jesus warned us that we would be persecuted – clearly implying that his followers would be rejected. After all, if we are to walk in His footsteps and he was rejected – can we expect any less? In fact, wouldn’t you think that it would be a sign of a disciple? How eager are you to earn the acceptance of those around you? Are you so eager for their acceptance that you hide your allegiance to Christ to avoid their rejection? 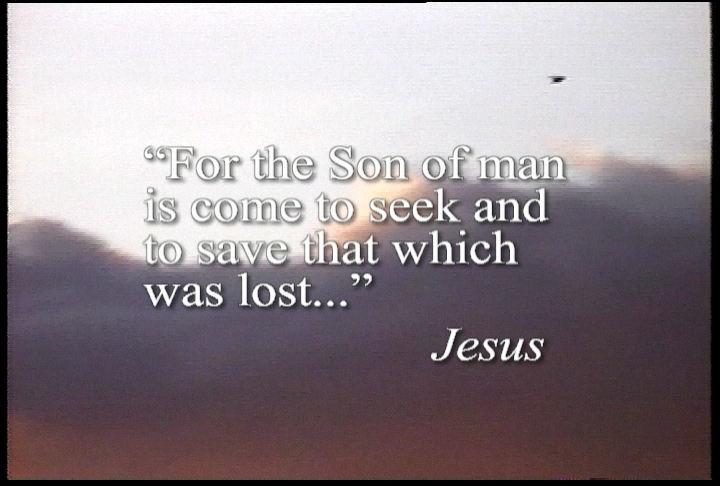 The Son of man was rejected because it was necessary in order to maintain his holiness. If we are to be His followers, we must be ready to accept rejection as well. Know this: given the time of the year (harvest), the fact that these men were still not working at the 11th hour would imply that they were lazy and shiftless and not very interested in work. But one thing is sure about farming and harvest time: when you need workers, you need them NOW. I doubt that they ran off to the fields after being hired. Sauntering would be a better picture, and they worked a very short time (one hour). Even today we resent those who don’t work very hard but who get a full paycheck. Can you imagine their amazement when they were paid the same amount as those who had been there all day? (It wasn’t the “short-timers” who complained – it was the men who had been working all day!) I am not an entrepreneuer. But this much I know about business: you won’t be in business long if you do such crazy things. This parable, or one very much like it, was told by other rabbis during the time of Jesus. But in their version, what was praised and stressed was the diligence of those hired during the 11th hour – how hard they worked. But Jesus doesn’t mention it. 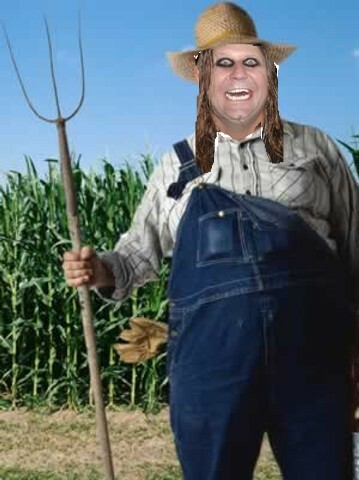 Instead, in his version of this story, the emphasis is on the generosity of the farmer. Don’t get me wrong – I know that Jesus is the only way to God, and that only those who turn to Jesus in faith and trust will be in heaven. But can’t you see how this scenario could happen? Have you never thought about your years of service and faithfulness and how you have “earned” a place in heaven? (Of course, that’s not how it works!) Think of it: after all you’ve given up, how fair is it of God to save someone like the thief on the cross who with virtually his last breath acknowledged Christ? Would there not be some resentment? For one, I am very glad that God loves so foolishly, that He is the crazy farmer in the story who chooses to lavish his riches on us. You see, the men who worked one hour didn’t deserve what they got – but they benefited from God’s gratuitous generosity and they got it anyway. And that’s the only way that any of us will get to heaven. I think that to some degree, we all like to feel power – the surge of a powerful engine in a car or boat, the thrust of the jet engines as they begin their gulping of air. 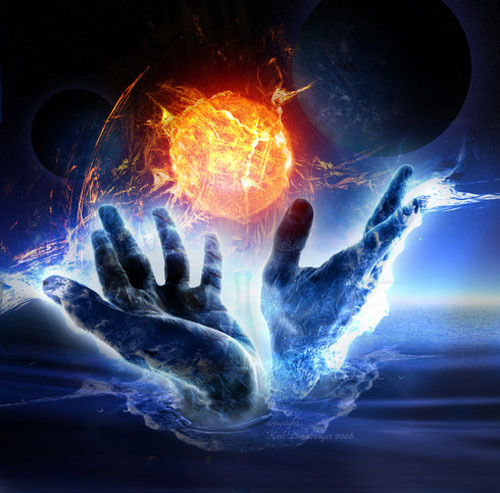 We long to feel power in our own spiritual lives as well. The power comes from the indwelling of the Holy Spirit. Try as we might, sometimes we just don’t seem to feel the power. It seems that we just can’t seem to make any forward motion, or it is much slower and harder going than we thought it would be. If there is something that we can learn from the boaters, it is that some things must behind in order to feel the intended power. In our lives there are many things that weigh us down, that cause us to move slowly and sluggishly. Do you want to feel the power of the Spirit in your life? Take stock of what you are hauling around with you. Bear in mind that it may be “below the waterline” and invisible to others. My guess is that you know EXACTLY what it is that you need to detach from your life. Now is the time to cast it aside and feel the power! Hebrews 12:1 – “Wherefore seeing we also are compassed about with so great a cloud of witnesses, let us lay aside every weight, and the sin which doth so easily beset us, and let us run with patience the race that is set before us…” You can’t run when you are weighed down. Jesus’ invitation is clear. If we want to follow him, the price must be our lives. 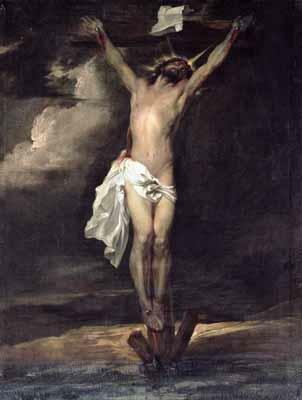 Having been in a similar situation himself, facing a crucifixion, he hoped for another way out. But there was no other way out for him, or for us. I’m sure that Jesus didn’t make his statement in Luke 9:23 lightly. Of course, at the time he spoke those words, he’d not yet faced his own crisis. His crisis, I’m sure, was felt as deeply as we feel any of ours. In many ways, his was much worse because he was beginning to feel the burden of the sin of the world in Gethsemane, the separation for God. I can barely carry the weight of my own sin. Let’s stop trying to picnic in Gethsemane. We’ve got a cross to bear. It is the price of following Jesus. Do you remember the old song by Jim Croce titled “Time in a Bottle”? The lyrics described things he would do if he could control or bottle time. Ever since Adam walked the earth, I would imagine that humans have been aware of the passing of time. At some point in our lives, we become keenly aware of it and how it moves inexorably ahead. Mythologically, Chronos (time) was the name of a short Greek god whose legs were muscular and whose heels were winged. He moved fast. He was bald and slick at the back of his head, but had lots of hair in the front. The implication was that if you could grab him as he came toward you, you could take hold of him and make him respond to your wish. But if you waited till he was past you, it was too late, for he was smooth-headed in the back and could not be grabbed once he had passed. As I can testify, time moves rapidly! I remember when one of my cousins, Denny, was 21 years old. I thought he was soooo old. In only a very few more years, my youngest will be 21. Where has the time gone? I remember when I was younger. I had energy, I loved to get out and play sports, I could run forever and not get tired. It seems like only yesterday. But something happened between yesterday and today. Now I’d rather watch sports than play them. Now I can get a bit winded walking up a really long flight of stairs. Sure, some exercise would help, but the youthful desire to go out and run and play has gone somewhere and I’ve not been able to find it. Time is like oil – it is not a renewable resource. It is finite and inexorable. It moves at the same rate for everyone. On my travels, I frequently pass through various time zones. Depending on how far I travel on a given day, it can be very hard to adjust to different time zones. God wants us to change time zones. On the one hand, we sometimes act as if we will have this earthly life forever. We put off the things that we shouldn’t put off because we think there will always be time for them later. On the other hand, God wants us to not live with our eyes focused on the clock, but on eternity, where clocks are meaningless. When we do that, our perspective changes and we aren’t as likely to make short term decisions that mortgage our eternal futures. We probably tend to be stuck in one time zone or another. Are you stuck living for today? Perhaps you need to change your time zone! What do you do when no one is looking at you? When no one sees or can see? 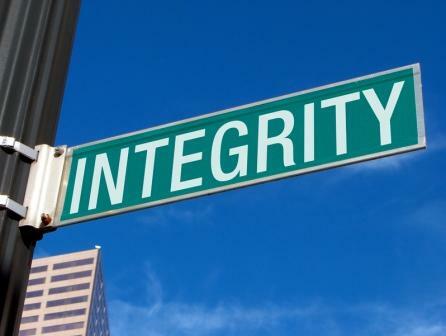 Does your integrity hold up? As difficult as living that definition of integrity out in daily life is, it is the last part of the phrase that is perhaps even more challenging: doing what is right when everyone all around you is compromising. You see, when you are alone, it is only you, Satan and Jesus doing warfare. But when you are surrounded by those who are compromising, not only are you wrestling with Satan, but you are wrestling with peer pressure to compromise, too. Character and integrity don’t care which way the wind is blowing. They care about what is right. The man or woman of character clings to right like a plant growing in the rocky crevasse – tenacious and unyielding. Are you the real thing? Sink your roots deep into God’s soil. Resolve now to be a person of character from this day forward.